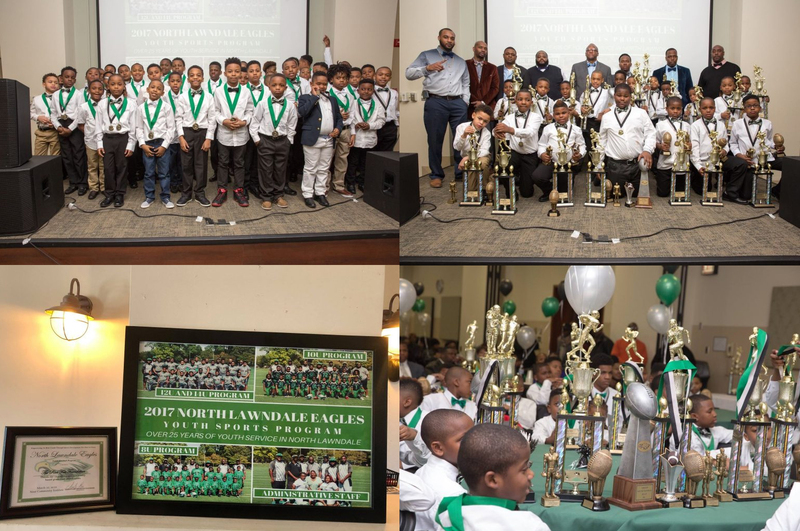 After participating in the 2016 event, we were elated to continue our partnership with the North Lawndale Eagles football team to help support their annual banquet in May 2018. The North Lawndale Eagles is a non-profit company that was founded to provide at-risk youth with a safe alternative to gang and street violence. The program helps to instill social development, teamworking skills, leadership, and more in their youth athletes. Click HERE to learn more about Eagles Football.